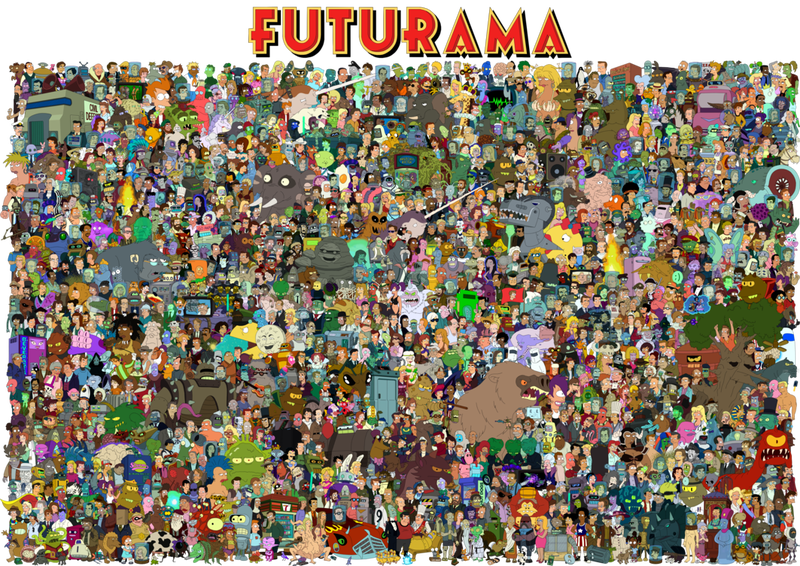 Over the course of seven seasons, Futurama assembled an enormous animated cast, and artist Unrellius has managed to squeeze just about every alien, robot, and head in a jar into a single poster. Unrellius says it took him 14 months to put this piece together. You can see the full-sized image at deviantART and search for your favorite characters in a massive mutant game of Where's Waldo?